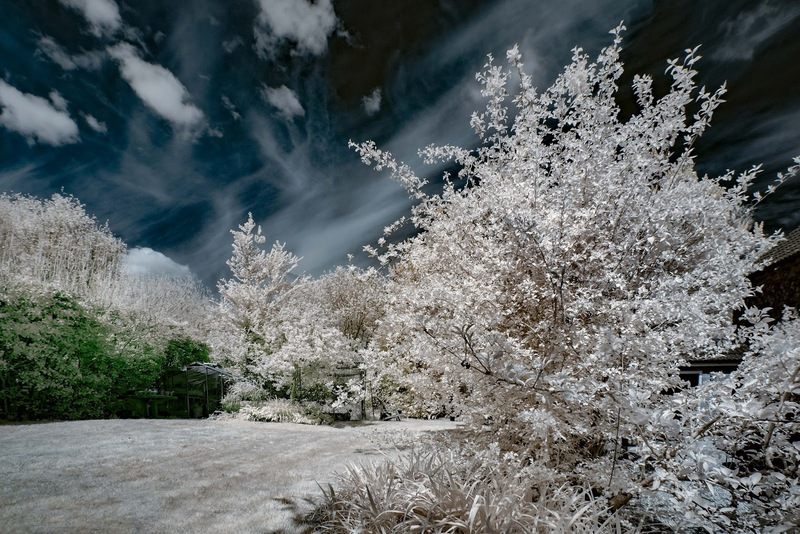 As many are aware, to give an IR captured image a more realistic look, assuming you are processing for colour, it is sensible to get the sky looking 'right', ie has some blue in it. This can be achieved in RGB by simply carrying out a RED/BLUE Channel swap. What some may not know is that you can also use LAB mode to achieve a similar effect. 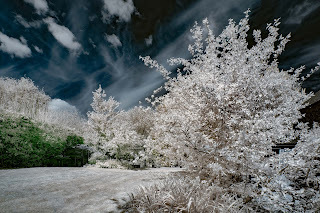 LAB space is also the better one to be in if you are trying to 'fine tune' a colour IR image, eg using the curves tool. As an example, take this test image I just captured in our garden at 10mm, F/7.1, ISO100 and 1/125s. The shutter was set using Magic Lantern ETTR. 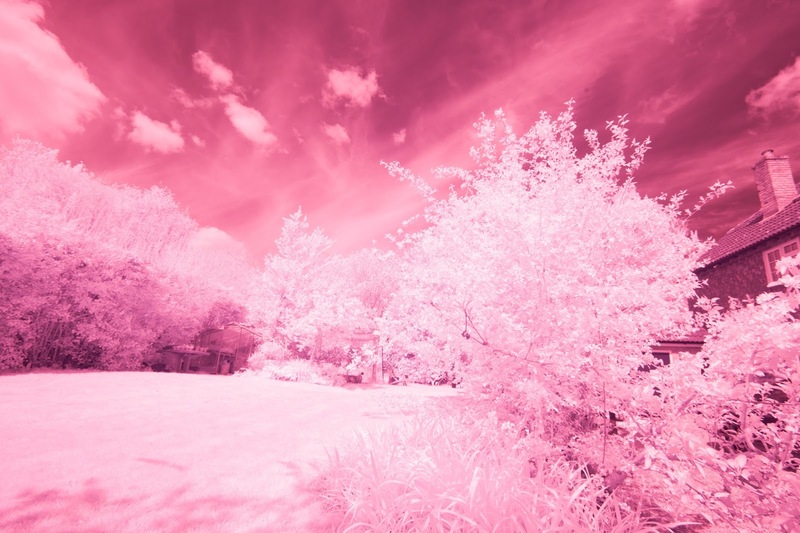 For those that are interested, although the image here is a compressed 8-bit JPEG, the detail captured in the IR, eg in the bushes, is impressive.